There are several types of mental illnesses that may be responsible for memory loss in patients depending upon their severity. There have been several studies and researches that show mental illness can lead to temporary or permanent memory loss, mostly it leads to temporary memory loss. Mental illness such as depression, stress, OCD, schizophrenia, anxiety, social phobia are very dangerous and becomes severe if it is ignored or not treated well. Depression – Depression is a mental illness that is very common in people between 25-44. In this age men/women rush to shape their career or fulfill his/her financial demands and can suffer from it. There are many cases in which a person suffers depression because of bad relationships. Depression is a sign of improper functioning of the brain and according to psychiatrists in Bhopal; it must be treated in time. Dementia – Dementia is more prominent of all mental illnesses that can directly lead to memory loss. These disease symptoms include memory loss, personality change and deterioration in intellectual ability. In the beginning, patient may have small amount of memory loss but after some time it can be gradually worsens. Schizophrenia – schizophrenia is another mental illness in which a patient may suffer from prominent memory loss. In this mental illness, a patient has problem accepting the real things and he is always confused about anything. He/she may have excessive delusions, hallucination and can also show inefficiency to think. Stress – a people in stress always feels that his/her memory is losing day by day. Stress at work, at home or in the business can lead to memory loss, it is actually short term memory loss, but if stress is for long term, it can be crucial to keep memory in the right state. 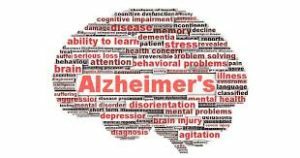 Alzheimer – It is another mental disease that affects memory of a patient. It can lead to short term memory loss and affects functioning of your brain and the memory center. If you or your family member is suffering from any of the mental disease described above or another mental disease, you should contact a psychiatrist in Bhopal.